Technology is ever changing. At Cubicle Logic, we keep ourselves updated on the latest innovations and technologies in the IT industry so that we can deliver cutting-edge services and support to all of our clients. We also leverage new techniques, as well as open source code, to save you valuable time and money. In order to get your application to the market faster, we utilize Ruby on Rails. Ruby on Rails is one of the fastest web development platforms available today. We use it to prototype your application and to finish the development cycle in an efficient, timely manner. PHP, ASP.Net, and JAVA are three of the most popular languages used in web development. PHP is an open source general scripting language, primarily used for web development. ASP.Net is a server-side technology that enables us to build dynamic web pages. JAVA is a general-purpose programming language that can be utilized on any operating system. We can create and design personalized Content Management Systems (CMS) based on your business requirements. The most common CMS choices that we offer include WordPress, Joomla, and Drupal. 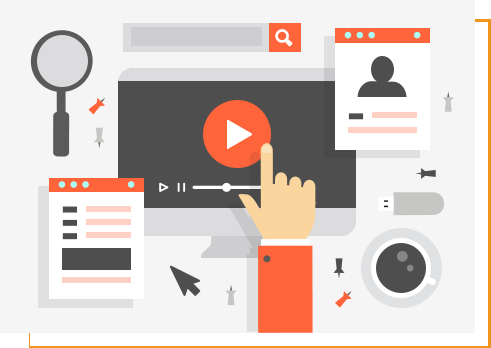 While it is fairly easy to add modules to these CMS platforms, they are not always easy to design. 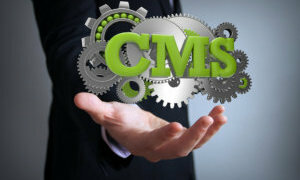 However, with our experience, we can build your CMS according to your exact specifications. We can build e-Commerce portals and applications that will provide your customers with a smooth, hassle-free shopping experience across different devices. We have used platforms such as osCommerce and Magento and have successfully helped our clients improve customer satisfaction. We are also experienced in payment gateways, and we know how to integrate them seamlessly into your web application. Social media platforms become increasingly popular each day. If you want to integrate social media networking applications into your website, we can help you. We have developed social applications based on the API’s of Facebook and Twitter. We can integrate them into applications which can be embedded stickers on your site and can be used for real-time updates for your site visitors. Location-based services are an ideal way for businesses to learn more about their existing customers. It can also help businesses use location-based marketing strategies that will enable them to reach the right people, at the right time. If you are interested in these services, we have developed applications which are seamlessly integrated with Google Maps. Using location-based services, you can leverage your visitor’s location information and use the most suitable marketing strategies to attract their attention. Cloud computing is the process of using a network of remote servers hosted on the Internet to process, store, and manage data. It is used in place of a local server or personal computer. For our cloud computing services, we have utilized Amazon’s EC2 and S3 for various applications and recommend these as stable and cost-effective solutions for your applications. Mobile phones and gadgets are becoming increasingly popular – from Android Phones to iPhones and Blackberry devices. People don’t just use them to call and text anymore; many people now use them to surf the Internet as well. If you want your business to have an interactive mobile application that can help encourage repeat usage, let us help you. We are highly experienced in developing smart, innovative mobile applications that can be beneficial for your business. For more information, contact us at 571-989-2823.